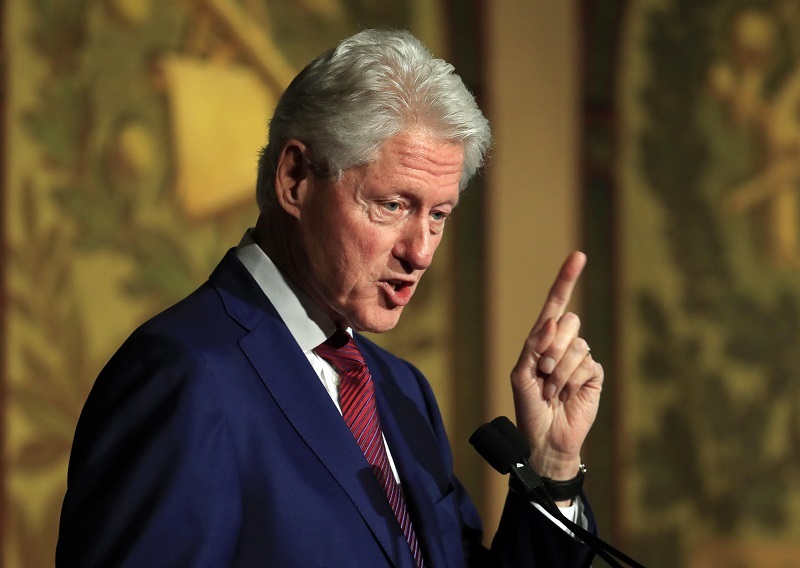 Bill Clinton, a former President of the United States of America, has cancelled his trip to Nigeria on the premise that it could be “politicised”. Clinton had been named one of the dignitaries to deliver goodwill messages at the signing of a National Peace Accord scheduled to take place at the International Conference Centre, Abuja, on Wednesday, February 13, 2019. According to CNN, a press release signed by his spokesman Angel Ureña, read: “Over the course of the last several days, and after various conversations with the different stakeholders, it’s become apparent that President Clinton’s visit to Nigeria has the potential to be politicised in a way that is not in line with the goals of the Committee. Therefore, he will not be travelling to Abuja.” The statement also noted that he will speak later during the week with President Muhammadu Buhari. The scheduled trip was facilitated by the Kofi Annan Foundation and the National Peace Committee.